This post was issued on 7 July 2013, more than a year ago. Then I just started my blog and I barely have any idea of photo taking for the recipes. I felt that I have not do any justice to this post as it is a workable recipe that I like very much. Since today I am preparing this for breakfast, I have decided to do another photo shot. 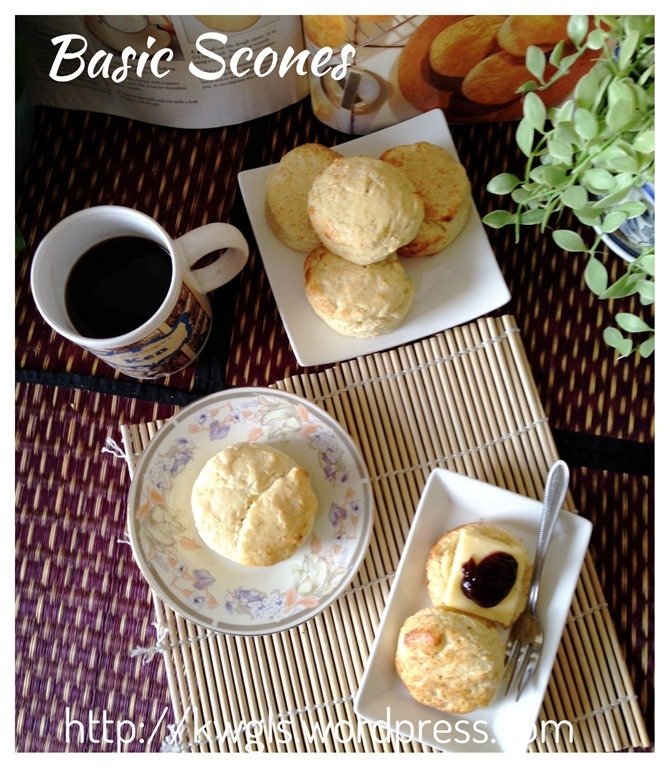 All scones recipes are basically the same, comprising flour, milk and butter. What create a difference is the handling, remember : LIGHT AND SWIFT HANDLING, as long as it can form a dough, you can shape and bake. 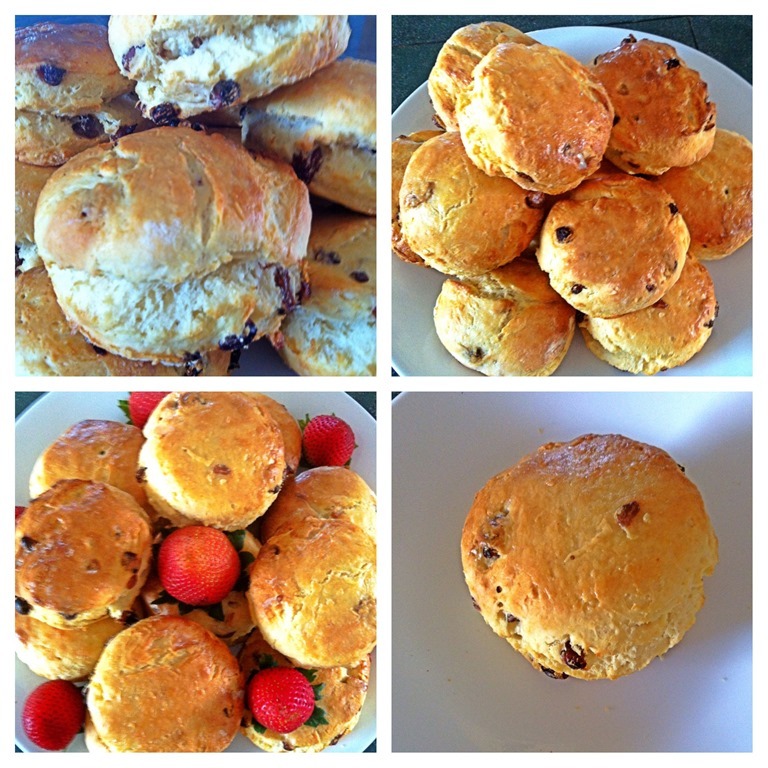 Scones will never look pretty, a rugged look will mean it is well risen and air were incorporated into the pastry. Hope all will like it. Yes, today baking item is rather simple and basic. There is no short cut method and lets start from the basic of “pastry” making. 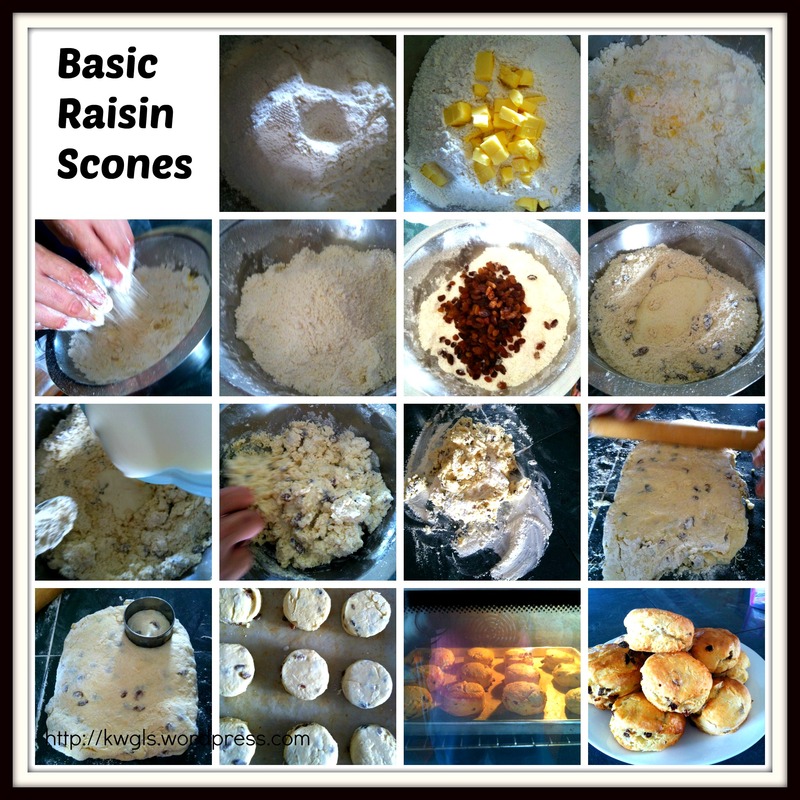 A traditional, simple yet delicious breakfast items – Raisin Scones. 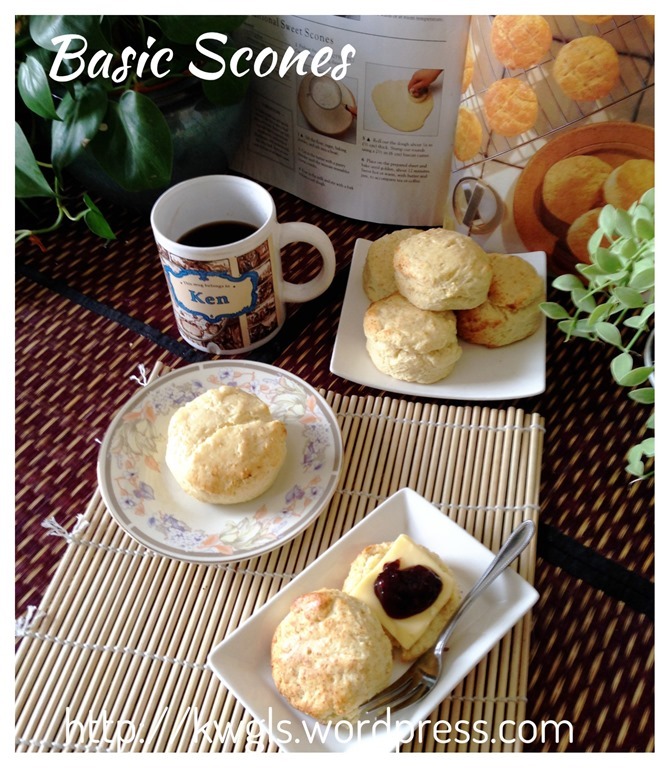 Materials for scone are extremely simple and basic. 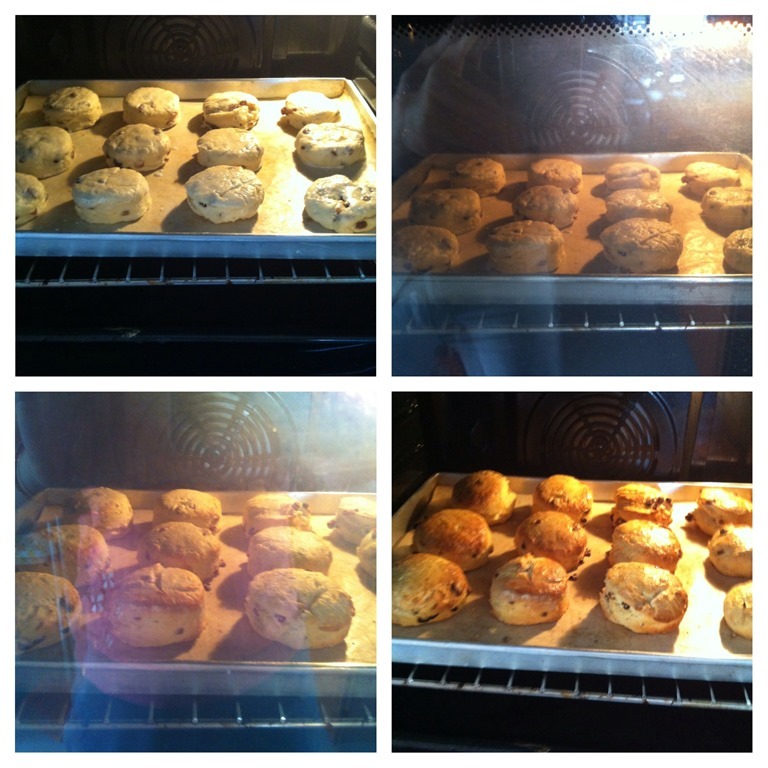 It is flour (wheat flour or oatmeal flour), liquid (milk), fats (butter) and some leavening agents (baking powder). It’s proportion of butter to flour are very low therefore, making it drier and unlike cakes which are moist and greasy. 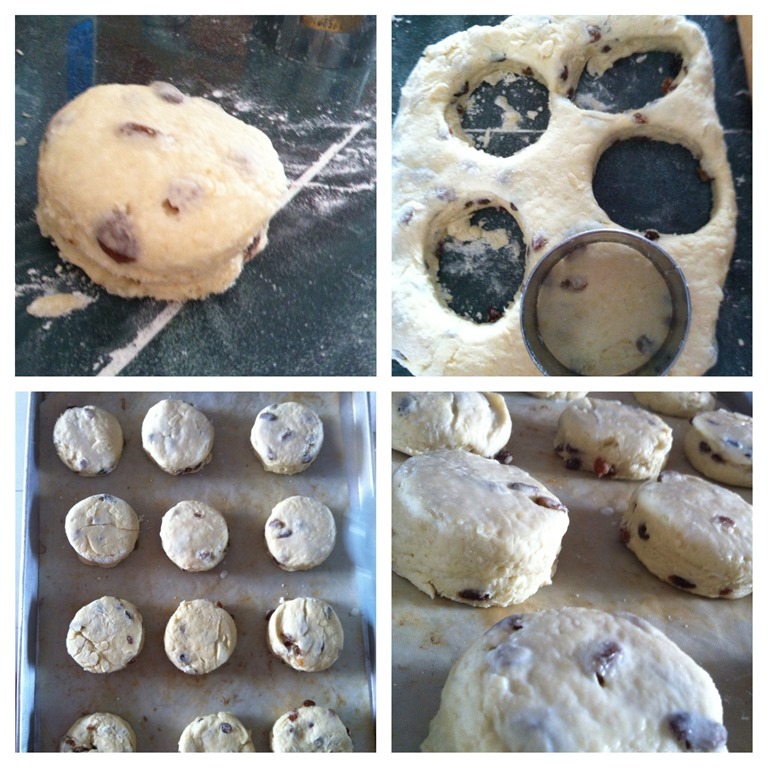 The following measurements are in the making 10 medium sized scones. 100 g of cold butter cut into cubes and keep in the fridge for further use. Preheat the oven to hot 2200C and lightly grease a baking tray or put a baking paper on the baking tray. Sift the flour, pinches of salt and baking powder into a big mixing bowl. Add the butter cubes from the fridge. Use finger tips to lightly rub the butter until butter and flour are well mixed resembling crumbs. Rubbing should be light and fast. 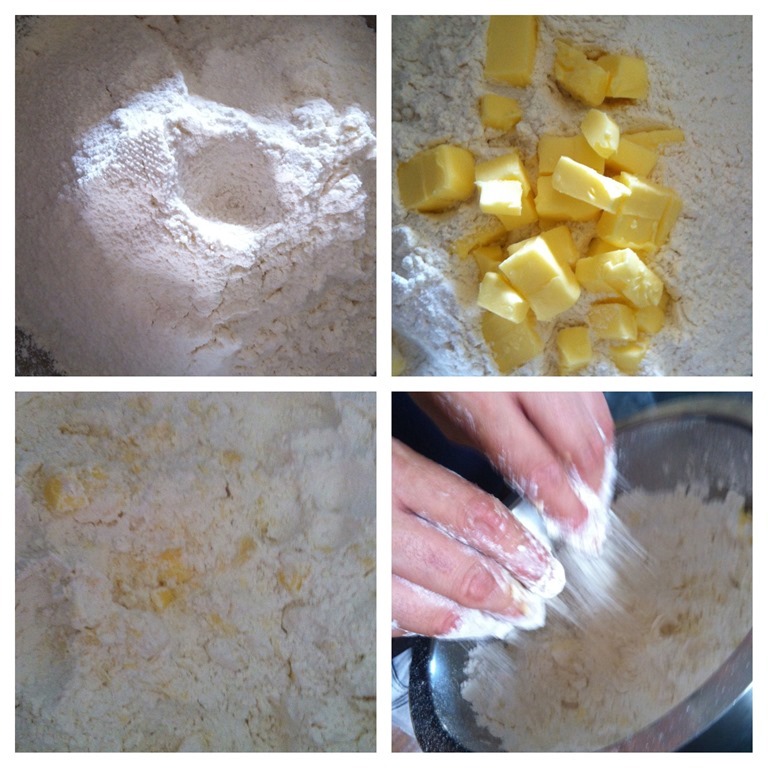 Compare the first and second picture, you can that the butter have stick to the flour and small crumbs were formed. 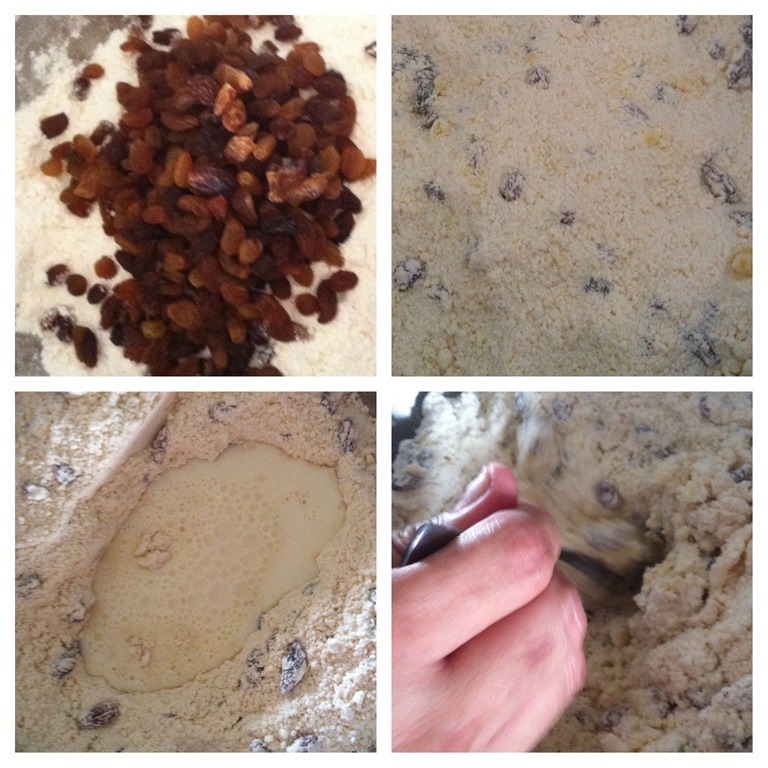 Add in raisins and mixed lightly with the buttered flour. Make a centre in the flour. Add almost all the cold milk and mix lightly in the same direction with a spoon/spatula/flat bladed knife. 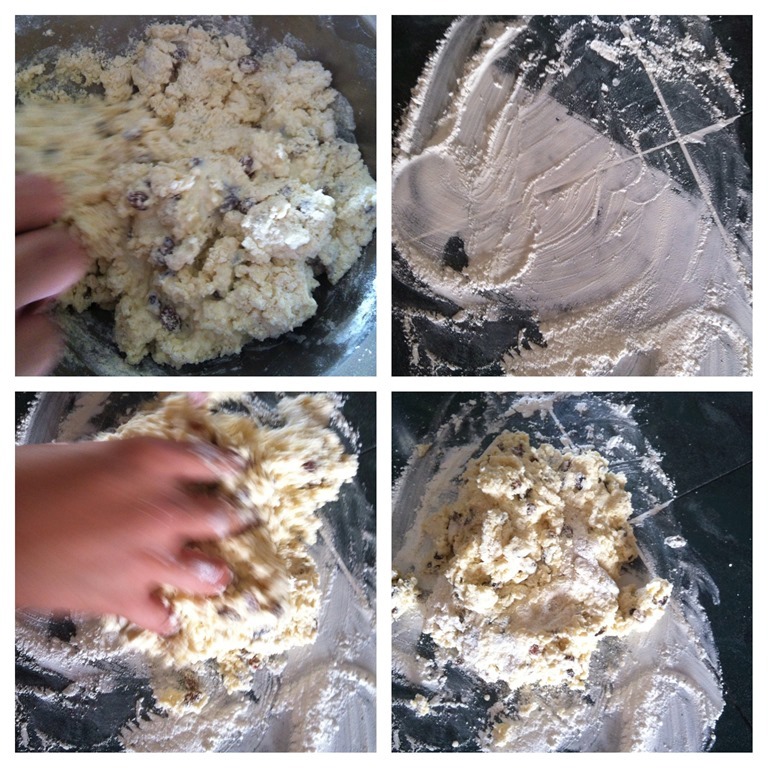 Mix until the dough comes together in a clump. Because the moisture content of flours may varies, therefore. amount used can also varies depending on the room temperature or attitude! If it is too dry, use the remaining cold milk. Dust some flour in the table and in your hand. 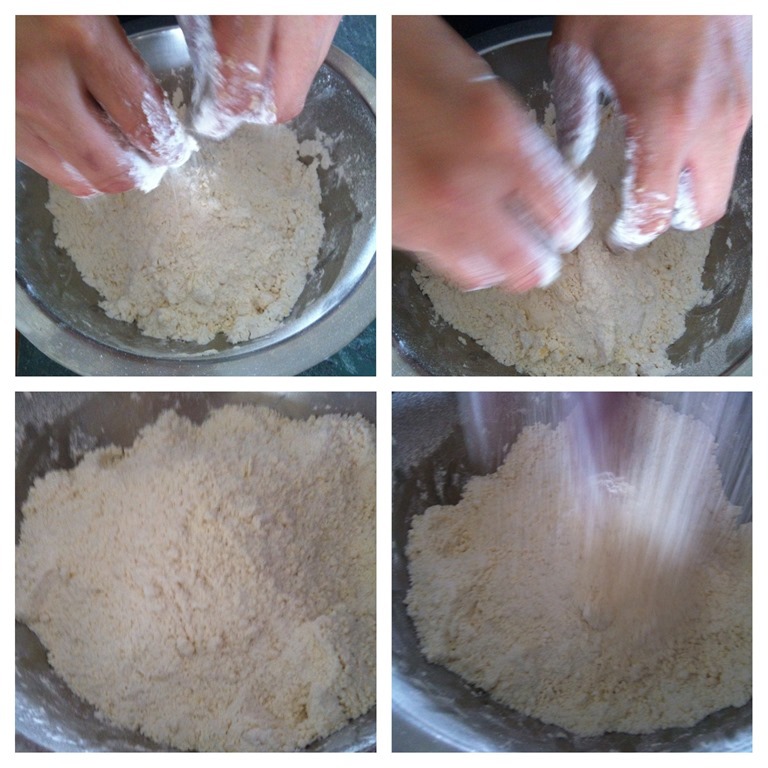 Use floured hand and gather the dough together. 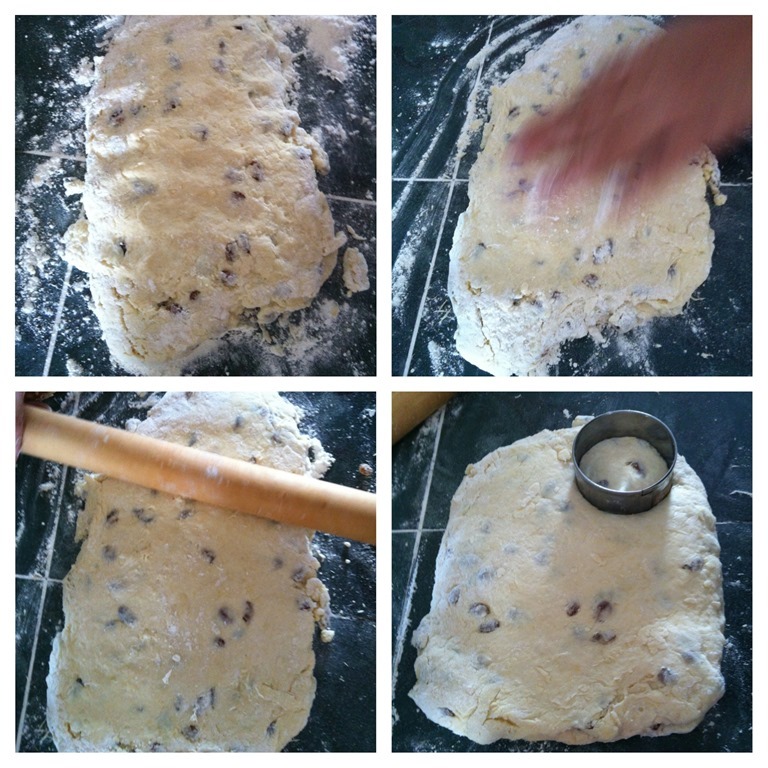 Lightly pat the dough in a 2 cm thick and use a rolling pin to lightly roll on the dough until even. 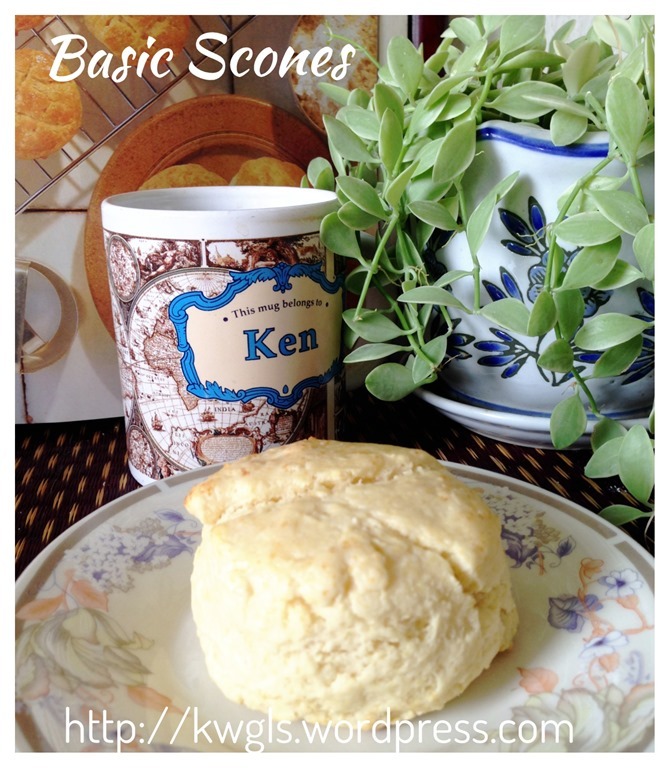 Use a 5 cm diameter cutter to cut the scones into rounds. Note that if you do not have the round cutter, you can also cut it into a triangular shape which is perfectly acceptable for a scone. 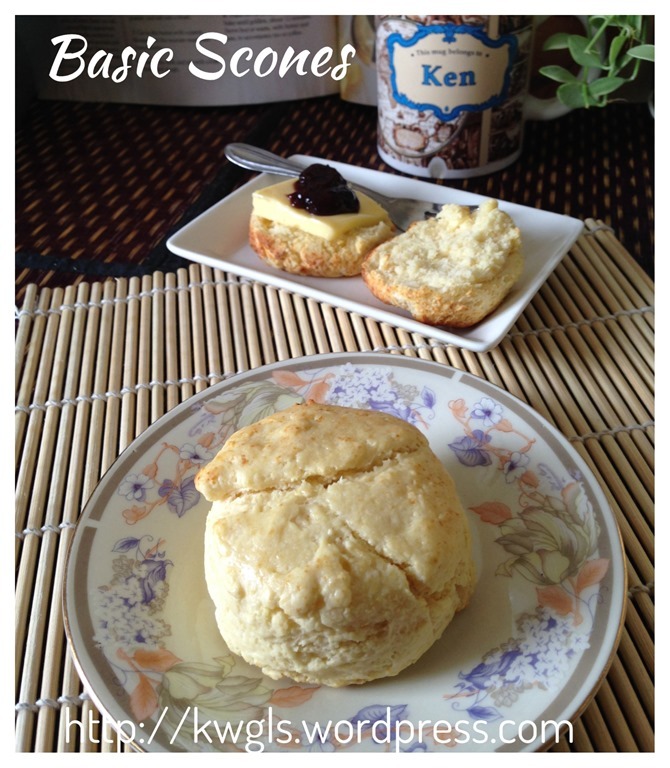 Traditional scones are triangular shapes in fact. Gather the trimmings together, press out as before and cut more rounds. Bake for 15 minutes, or until risen and golden on top. If it had already risen and the top is not golden yet, brushed with additional milk and bake until the milk dries up. The color shall be darker now. A successful should have some signs of rising along the side signifying that it is well risen, light and not compact. 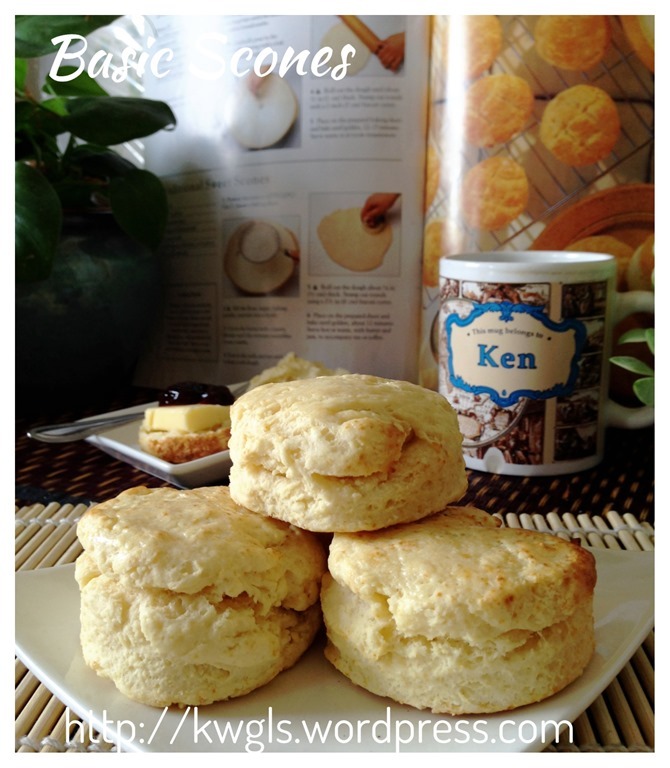 Scones are best served fresh from the oven, warm at room temperature. Served with whipped cream, butter or jam. All these are suggestions and optional. 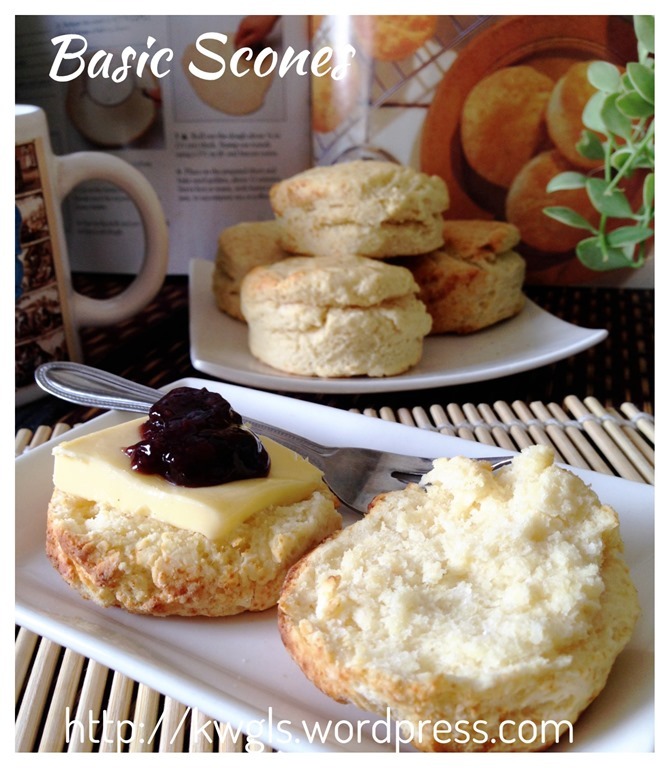 However, the combination of these three items with a warm scone is definitely worth the efforts of preparing it. Usually, it was usually served as a breakfast item or at tea time “quick breads” with a pot of hot tea. 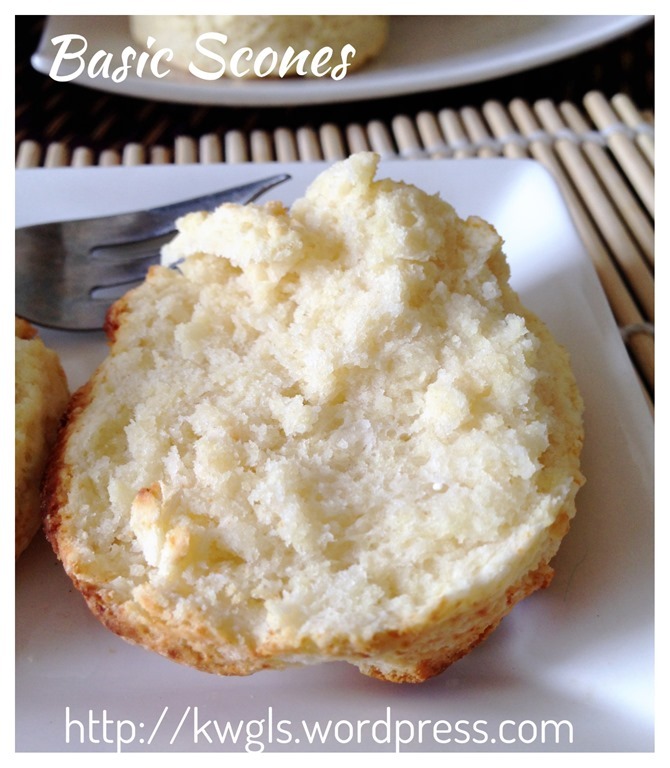 If you can’t finish the scone, just freeze it. Heat up before next servings. If you are observant enough, you will notice that I have kept repeating the words “cold” and “light”. Yes, in order to have butter crumbs, the butter need to be cold so that it is in a solid state. If the butter melts at room temperature (it will at times when the room temperature is too high, it will not become a crumb but become a batter instead. The need to have butter in solid form is to introduce air into the dough. When butter melts, it will become a hole in the dough and replaced by air. 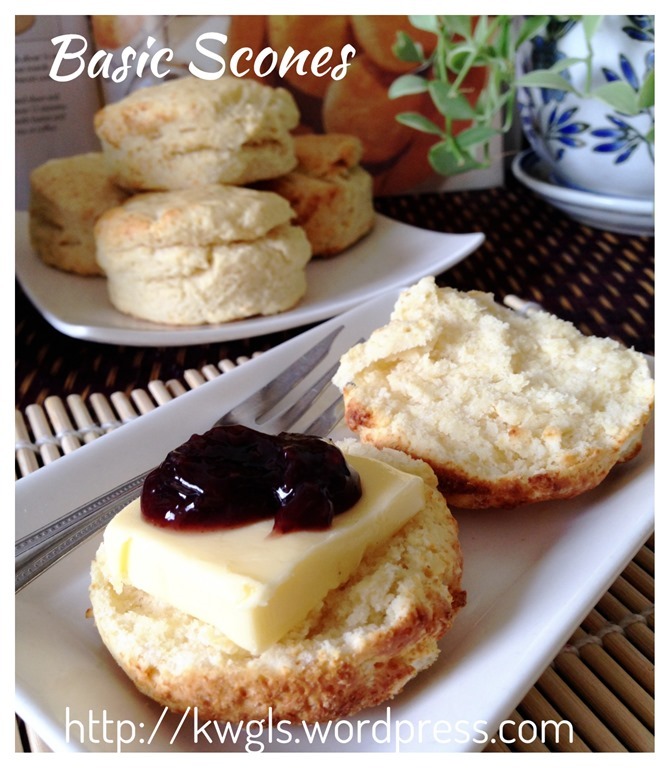 The scone will be lighter and softer. The same principle applies to light handling of the dough. The use of flat bladed knife will introduce air to the mixture, rough handling on the other hand, will push all the air out of dough causing the dough to be hard and possibly chewy. Therefore, never knead your dough like making the bread. 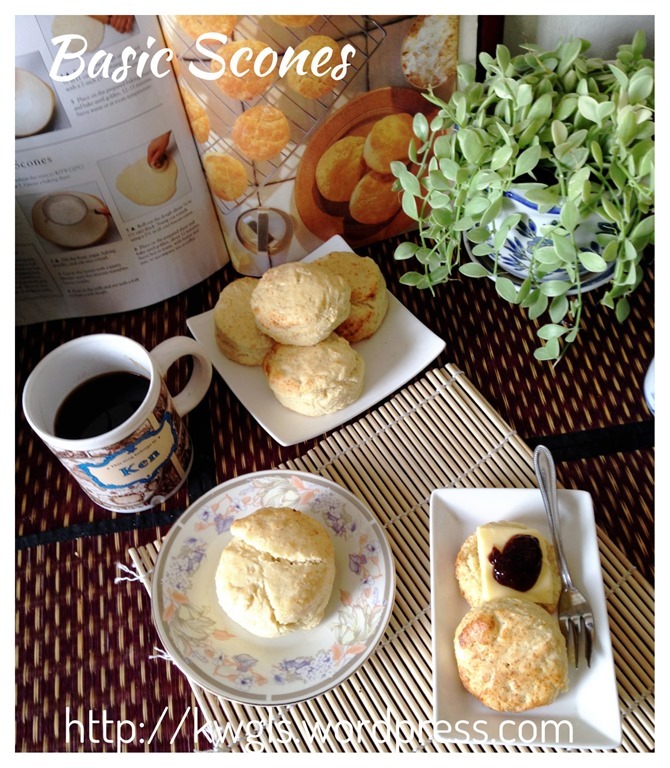 Scones are easy to prepare and an excellent choice of breakfast or tea time item. 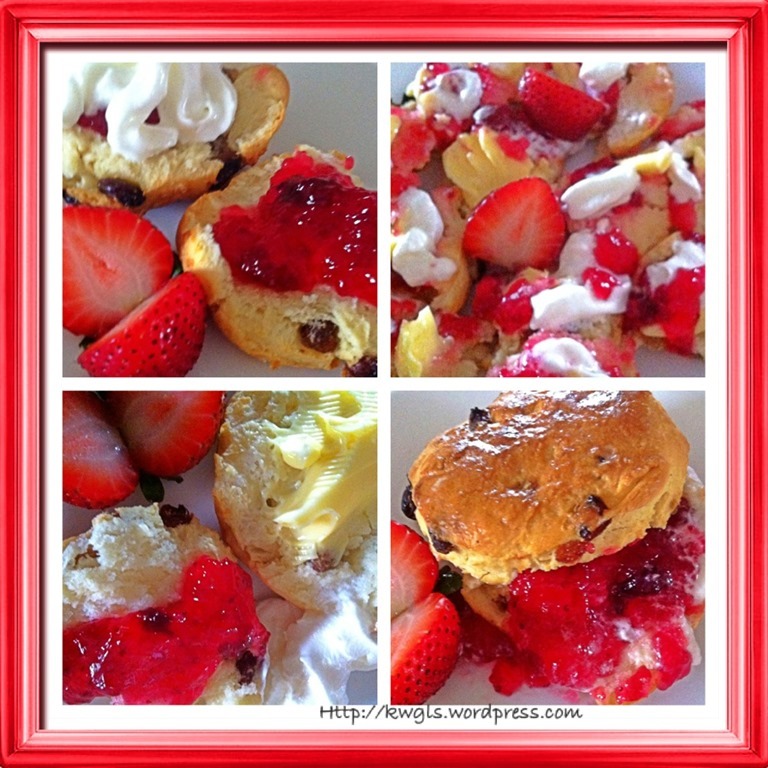 As scones have very low fat contents, it is rather dry and usually served with cream, jam or butter. However, these are all optional depending on individual health objectives. 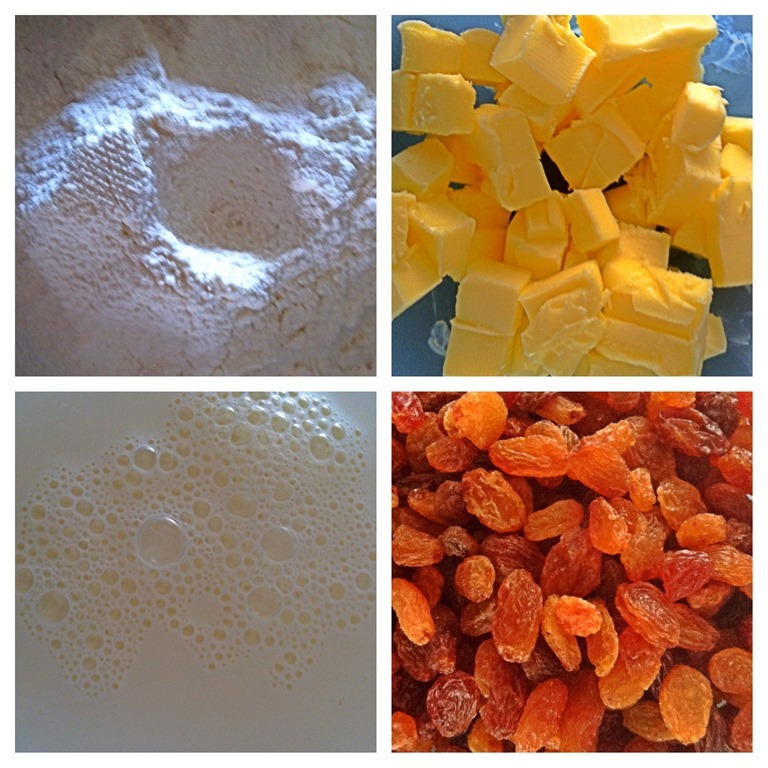 All types of scones are prepared using the same principle, adding the liquid mixture to the dry ingredients, mix the dough as briefly, lightly and swiftly as possible. This recipe is rather basic and you can easily modify it to become cranberry, lemon flavoured or other flavours that suit your taste buds. 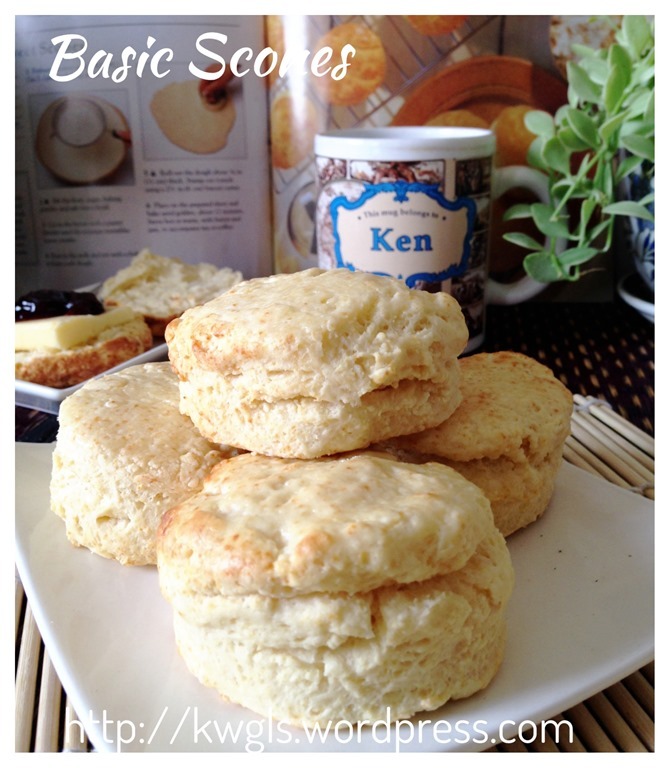 Lastly, hope that you enjoy reading and take a step out to try making the scones.. 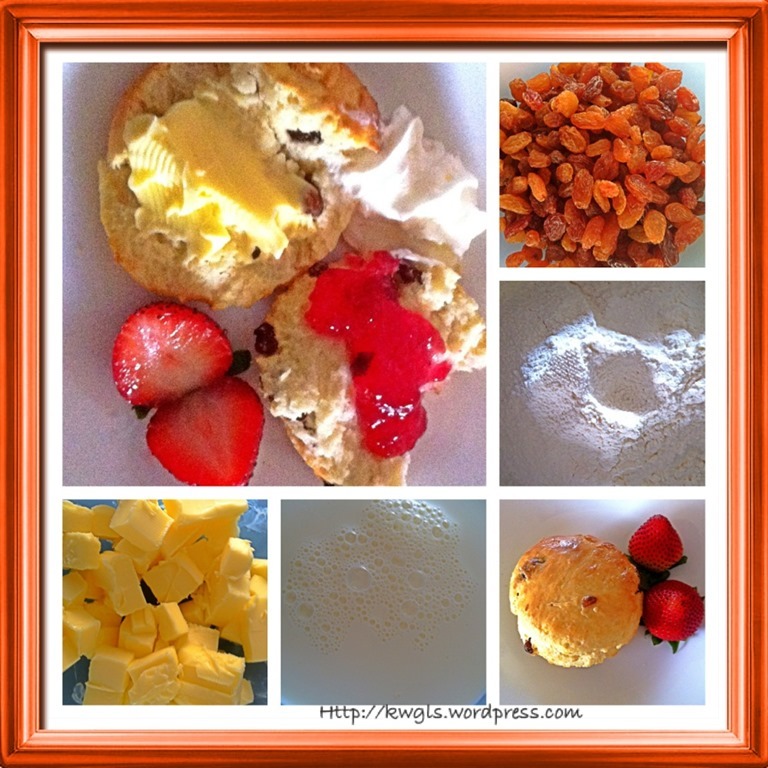 This entry was posted in Cakes and cookies, Food Preparation Series and tagged 8, agent, agents, Basic, basic scones, bread, breakfast, buns, butter, component, cups, devonshire tea, english tea, 葡萄干司康，Devonshire, fats, GUAI SHU SHU, Guaishushu, INTRODUCTION, Irresistible, item, items, kenneth goh, Materials, measurements, method, oatmeal, pastry, Pinches, postaday, Presentable, proportion, Raisin, raisin scones, Scones, sheet, Source, wheat, yeast. Bookmark the permalink. Great tutorial! 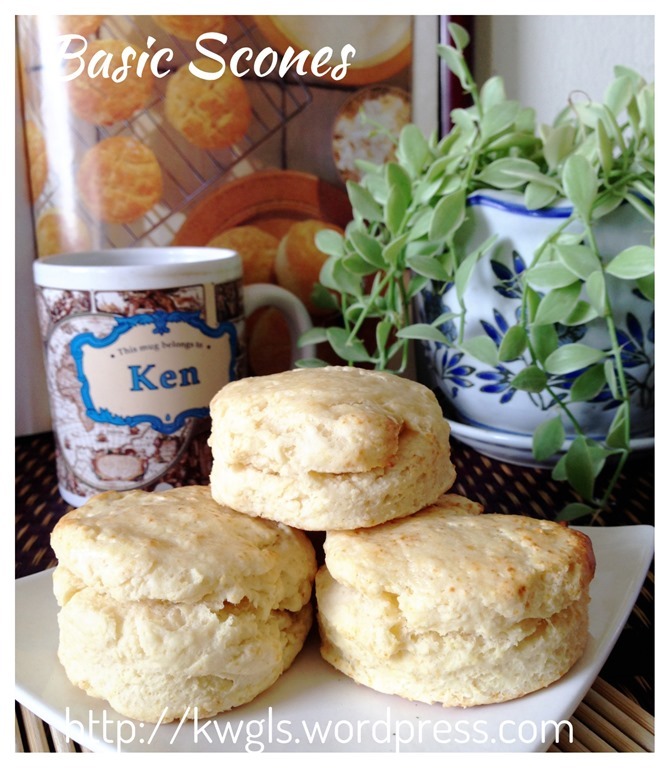 I’ve never made scones before, but it looks very do-able. They look tasty! Thanks for sharing! Stopping by from the DBB. I love Scones! I might have to try these!! G’day! These looks very yum Kenneth! Good day. 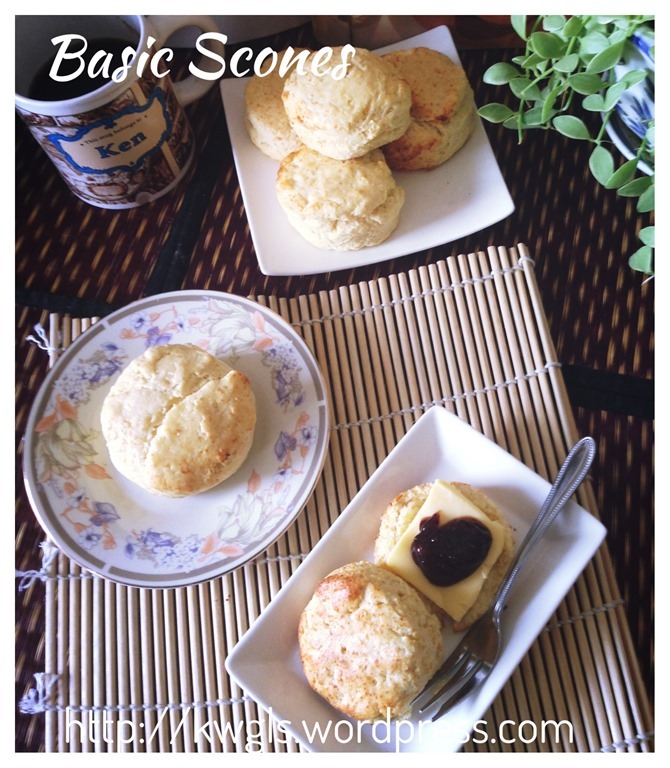 Tried this scones recipe this morning. It was lovely.